PoshRSJob – A PSJob alternative to creating jobs using runspaces. PoshEventUI – A UI for creating and removing permanent WMI events. PoshPAIG – A patch auditing and installation UI. 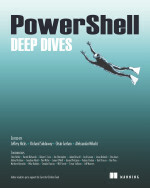 PoshWSUS – A PowerShell module used to manage a WSUS Server.